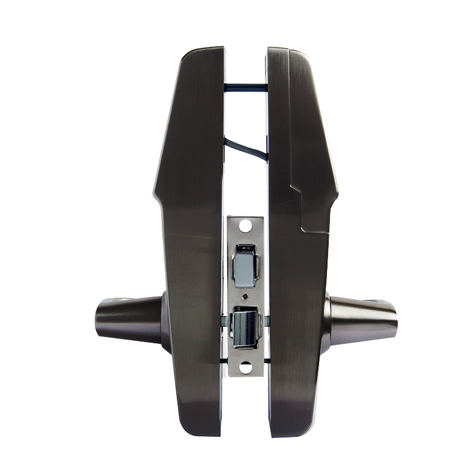 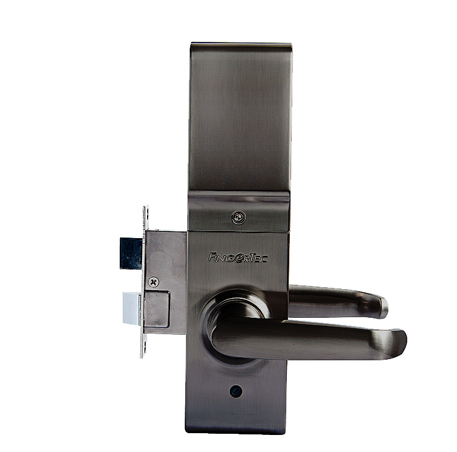 Keylock 7700 is a mechanical door lock unit, designed to be installed onto the door of a restricted area, replacing the traditional key and lock doorknob. 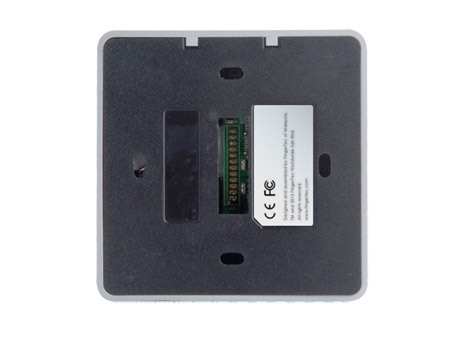 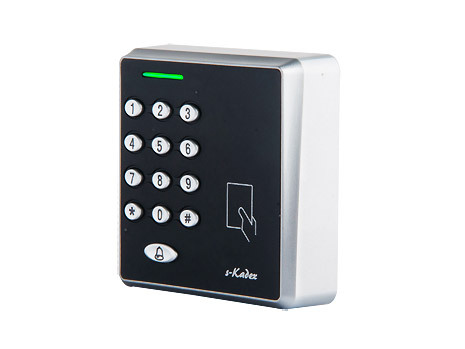 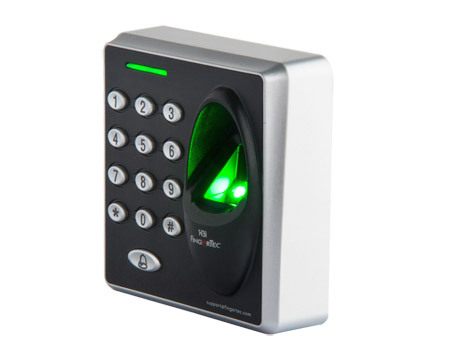 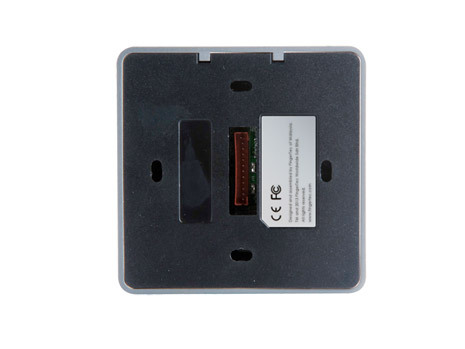 With Keylock 7700, you will need to scan your fingerprint, card or insert a 6-digit password to unlock the door, instead of using a conventional key, which is easily forgeable. 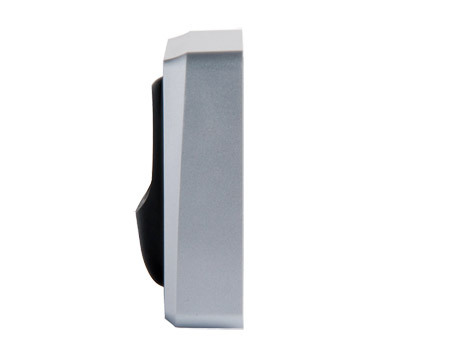 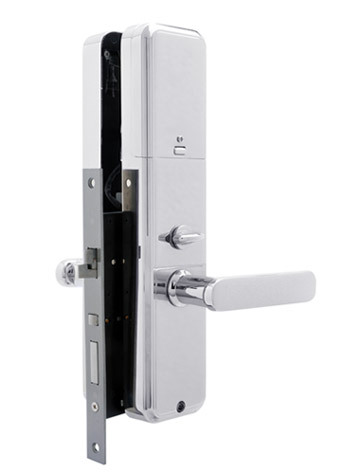 The sleek zinc alloy finish of Keylock 7700 comes with a sturdy bar-latch which can be easily switched around to suit right-open or left-open doors. 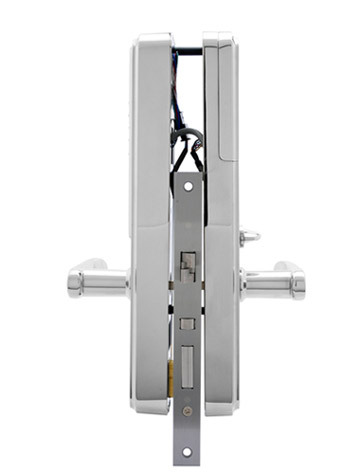 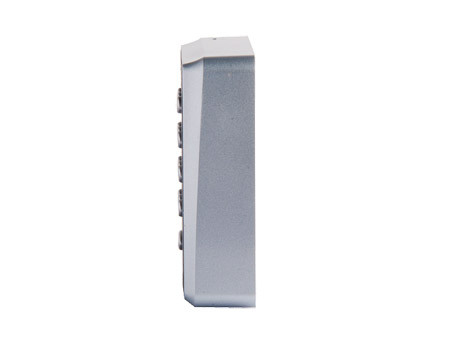 It is ideal for use on high security storerooms or offices of high-ranking executives, as it comes with the option of a secure double-tongue door latch, which is durable and difficult to bypass by those with ill intentions. 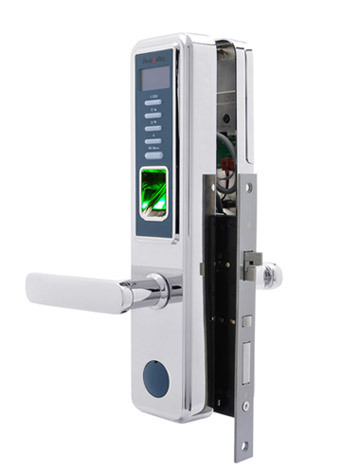 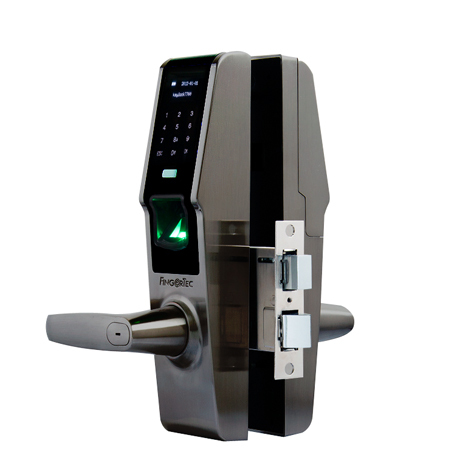 That’s not all, as Keylock 7700 is FingerTec’s first mechanical door lock to support time zone settings, besides having a capacity of 500 fingerprints, card and password each.